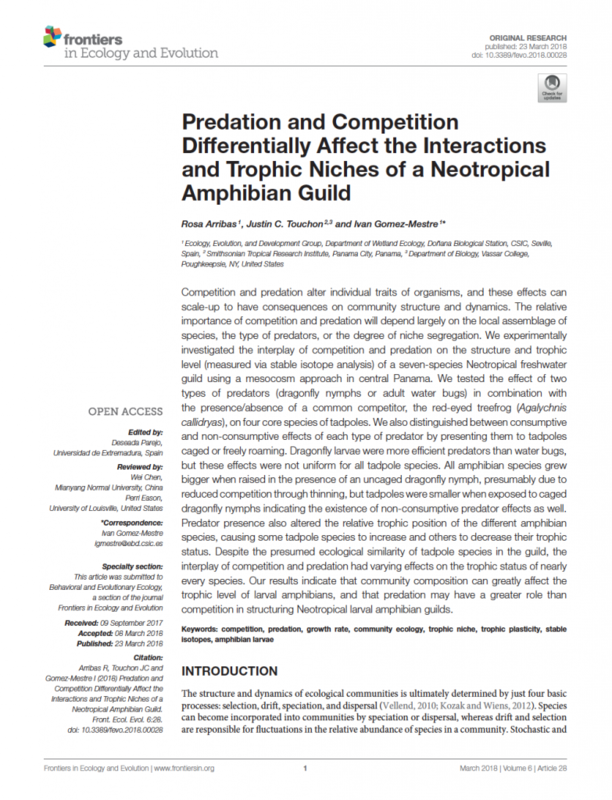 New paper out in Frontiers in Ecology and Evolution! Check out a new paper from a collaboration with Ivan Gomez-Mestre and Rosa Arribas where we looked at how two different types of predators affected the trophic niches of a whole community of tadpoles in Panama! It was such a beast of an experiment to conduct and it’s great to see it finally published. Congrats Rosa! The frogs are breeding! The frogs are breeding!